Yeowee … this wall has a lot of issues with torn Sheetrock (the dark brown areas), but more important – the black stuff that you see in the top photo is mildew. Not good. Mildew is a living organism, and it can grow and grow. It’s powdery, and so as it spreads across the wall, it can separate from the wall (delaminate), which means that the wallpaper is at risk of falling off the wall. Mildew can also travel right through wallpaper, creating a ghost-like shadow of dark – or sometime pink – discoloration. 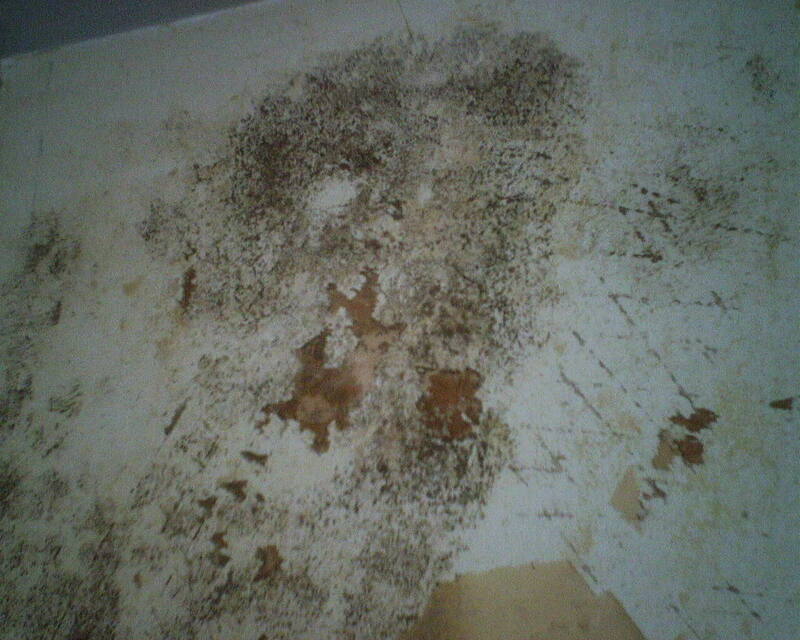 Mildew is usually caused by moisture. 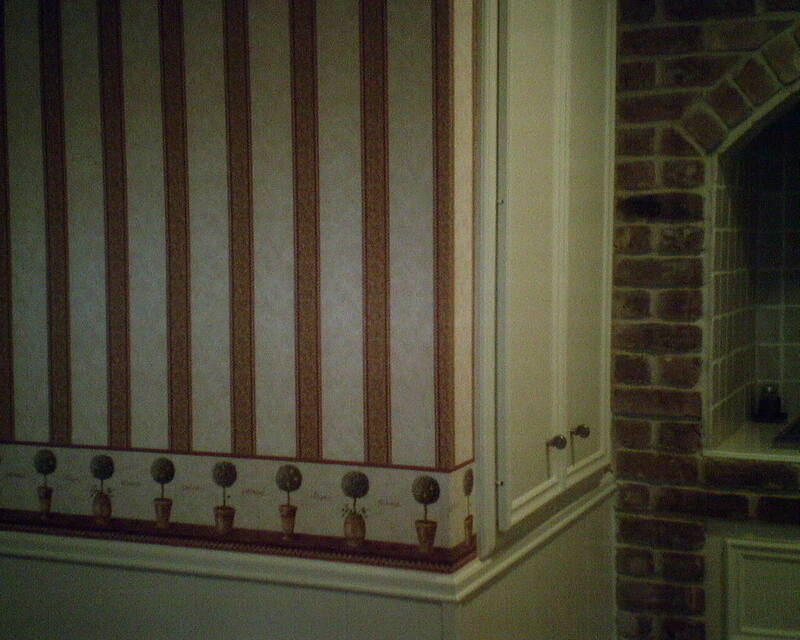 It’s not clear what caused the problem in this powder room in a 1957 home in the Tanglewood area of Houston. It could be a leak in the wall (pipe, window, roof, lawn sprinkler outside hitting the wall). Or it could be that the solid vinyl surface of the previous wallpaper prevented air from getting to the backing, and so that it could not dry out, and then it held dampness against the wall – which created the perfect breeding ground for mildew. Getting rid of mildew requires a few steps. First, it must be wiped and scrubbed with chlorine bleach, then rinsed clean. Once the wall is dry, a coat of a quality stain-blocker is applied. 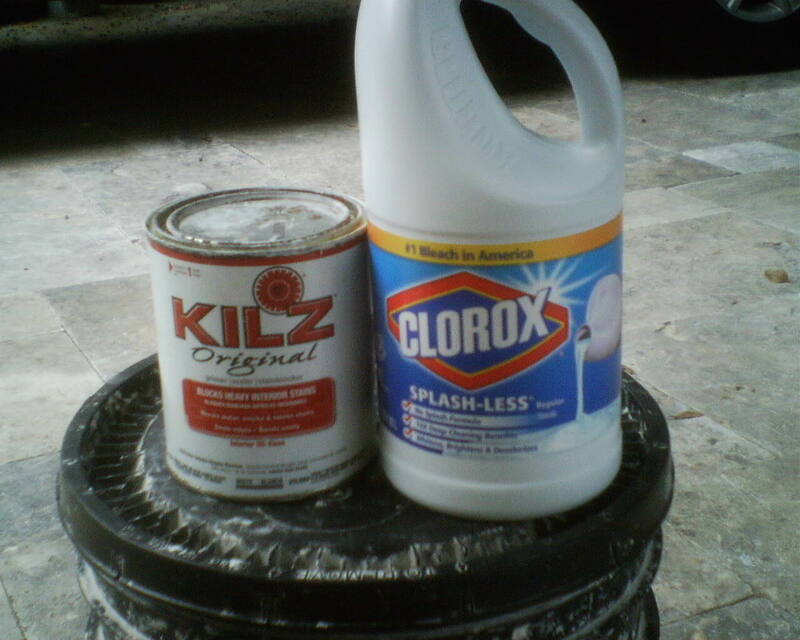 I like oil-based KILZ Original, but other options include Zinsser’s B-I-N stain blocker. Once the stain blocker is dry, the wall can be coated in a wallpaper primer.